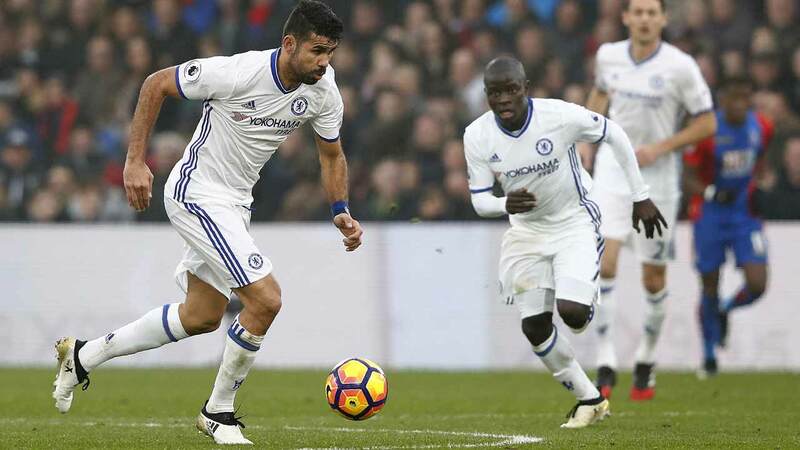 Diego Costa struck as Chelsea won 1-0 at Crystal Palace on Saturday, a club record-equalling 11th straight victory that sent them nine points clear at the Premier League summit. Costa’s 43rd-minute header was the striker’s sixth goal in his last eight games, his 50th Chelsea goal in total and gave Antonio Conte’s side a third successive 1-0 win. Chelsea once again delivered a controlled, effective performance, giving struggling Palace little chance of getting back into the game once they fell behind. 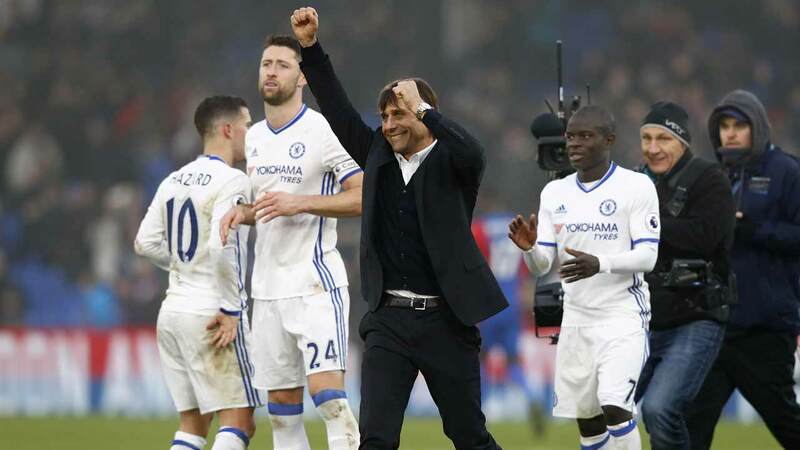 “The run is fantastic,” said Chelsea manager Conte. 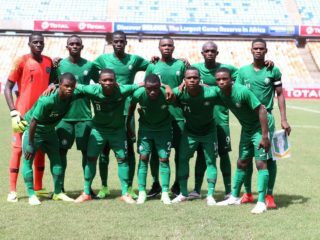 “Congratulations to my players, not me. I am pleased for them because they deserve this. Chelsea matched their record of 11 consecutive wins from April to September 2009, achieving the feat within the same season for the first time, and remain on course to break Arsenal’s all-time record of 14. The only blemishes were yellow cards for Costa and N’Golo Kante that mean both players will be suspended for next weekend’s home game against Bournemouth. The match marked the first anniversary of Jose Mourinho’s dismissal as Chelsea manager and the contrast in fortunes between the two clubs over the subsequent 12 months has been striking. This time last year, Palace were in sixth position –- they entered 2016 in fifth -– 11 points ahead of Chelsea, who were in danger of getting drawn into a relegation battle. With Guus Hiddink taking temporary charge, Chelsea steadied the ship before this season’s resurgence under Conte, while for Palace, 2016 started badly and got worse. Their dismal run over the calendar year would have seen them relegated if replicated over a whole season. 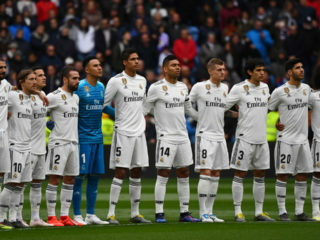 Yet while they came into the game still smarting from the late 2-1 defeat by Manchester United in mid-week, there have been promising signs during a recent spell of improved form. Conte opted to restore Nemanja Matic in place of Cesc Fabregas, despite the Spain midfielder scoring the match-winner at Sunderland in mid-week. Eden Hazard, meanwhile, returned after missing the Sunderland clash through injury, with Pedro Rodriguez making way, while Willian retained his place. Palace enjoyed long periods of possession in the first half, but Conte’s side held them comfortably at arm’s length before Costa struck. Before then, Palace had the better chances, with Jason Puncheon in particular, guilty of missing a clear opportunity when he screwed a first-time shot wide from Martin Kelly’s right-wing cross. While Pardew’s side continued to press, with James McArthur heading wide from another Kelly cross, it was clear that Puncheon’s miss could prove costly. Chelsea had looked comfortable in possession without truly stretching Palace and goalkeeper Wayne Hennessey had barely been troubled. But when the home side lost concentration two minutes before half-time, Costa was on hand to cap a routine move and put the visitors ahead. Hazard moved the ball from left to right to Cesar Azpilicueta, who floated a deep cross towards the far post that should have been dealt with comfortably by the Palace defence. Instead, it caused confusion, with Hennessey starting to come for the ball before stopping and Scott Dann failing to monitor Costa’s run, enabling the striker to climb above him and head past Hennessey. The hard work of the previous 43 minutes had been undone and instead of holding on, Palace were forced to chase the game after the break. For 15 minutes after the restart, Pardew’s side pressed, but Chelsea held on comfortably before taking control as they attempted to kill off the game. Fabregas drew a smart save from Hennessey, low to his right, and Marcos Alonso struck the bar from a free-kick.